Voter intimidation is a type of voter suppression involving mentally or physically intimidating individuals or groups to not vote or to change their vote. When we think of voter intimidation we typically think of violence or the threat of violence as the intimidation tactic, however the intimidation can be mental as well. 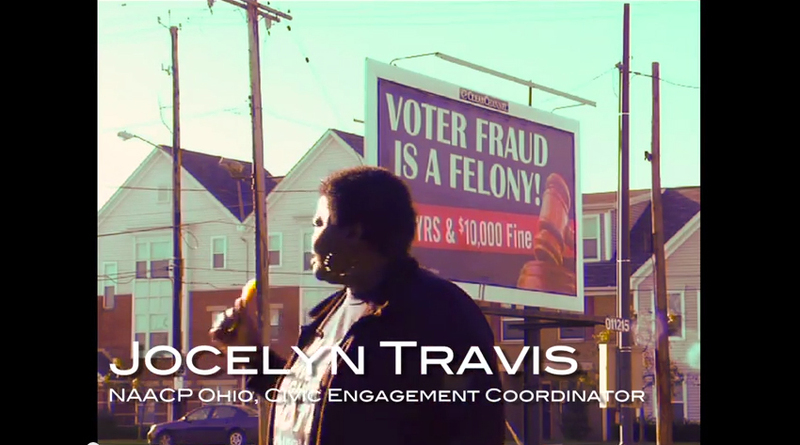 For example, a billboard may say “voter fraud is a crime” scaring people away from voting without a proper ID in neighborhoods where certain parities have an interest in suppressing the vote. Often the best way to understand a type of voter fraud and it’s impact in the United States is to look at our history. We tend to have a cloudy view on what is happening with voter fraud in the present, but we tend to be more factual and less emotional when looking at the past. Examples of voter fraud in the US include groups like unions, union busters, black panthers, and the KKK using violence to turn either Democrat or Republican voters away from the polls. Often actual acts of violence do not need to occur, as even the threat of violence is enough to dissuade a voter. Movies like gangs of New York show the prevalence of voter intimidation in early American history and the battle for civil rights in the 60’s in the south can drum up some equally nasty images.